Below is a list of local support groups with contact information. 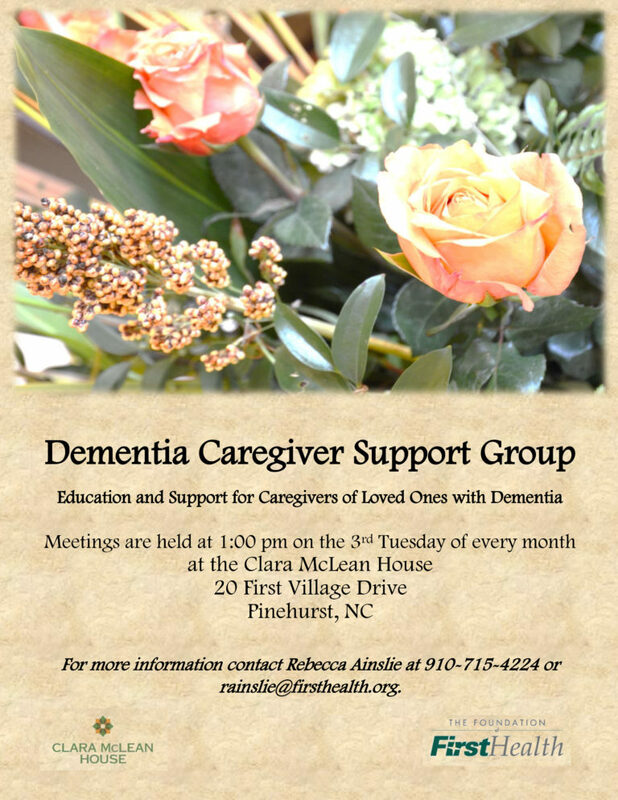 If you are looking for a support group for someone diagnosed with Alzheimer’s disease or dementia or for a group geared for caregivers, adult children and loved ones, please free to contact us at 910-692.0683. 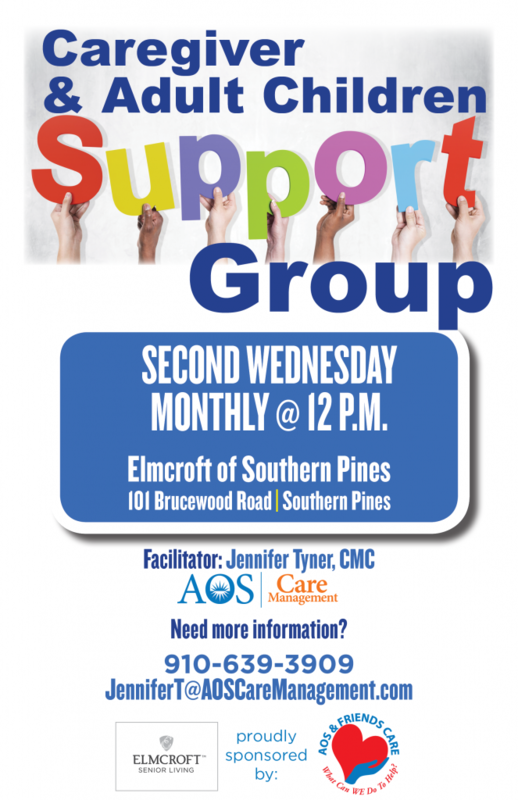 *Please note that some support groups alter schedules over the holidays, so it’s best to contact the group facilitator, or call 910-692-0683 for more information. 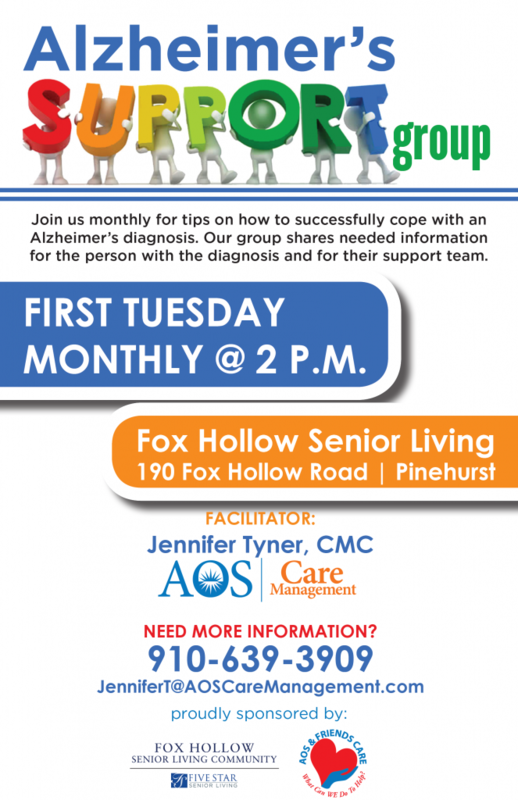 Second Monday at 4 p.m. 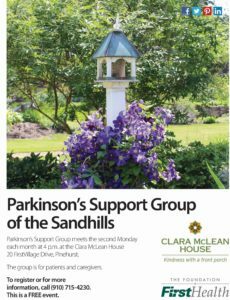 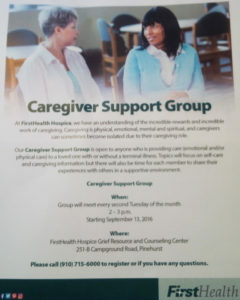 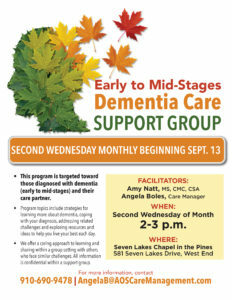 This group is for patients and caregivers. 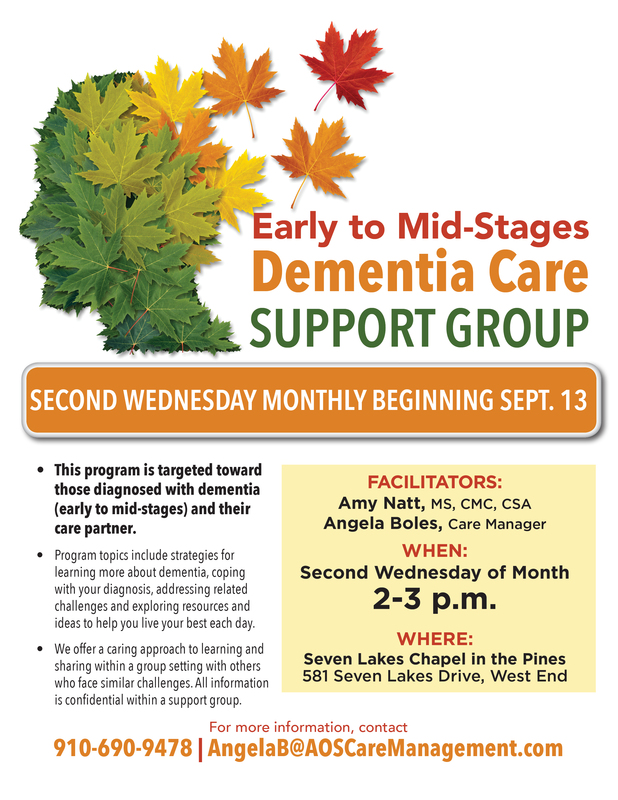 First Tuesday at 2 p.m.
Second Tuesday at 2 p.m.
Third Tuesday at 1 p.m.
First & Second Wednesday at 2 p.m.